SORRY TANARAY HAS NO PUPPIES AT THIS TIME. 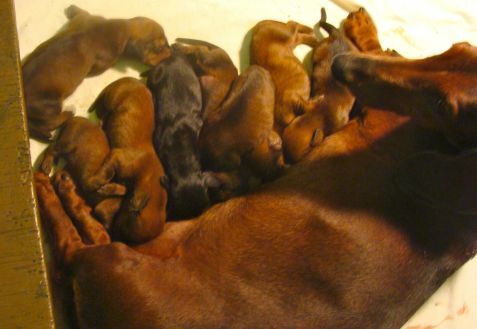 Our last litter was born on July 25, 2011. There were 2 red girls. 1 black & tan boy and 5 red boys.